Disclaimer: This is not a sponsored post. Everything posted here is my own opinion and I was not paid to post this. 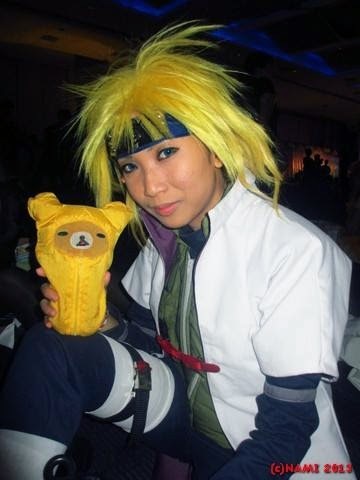 I was never into contacts until only last year because I want to sort of level up in my cosplays. I wanted to get the right eye color when I cosplay my characters to make me really feel the character. And the only way I can do that is wearing colored contact lens. 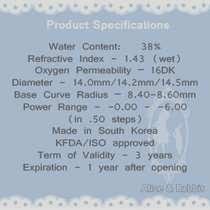 The problem then though is I have a very high eye grade and I can’t find trusted online shops who sell high-eye grade lens. The contacts in optical shops are not vibrant and their colors are very limited. The eye doctor said I can wear contacts. I just have to find the right online shop that specializes in graded colored contact lens and are safe to wear. That’s when I heard Alice and Rabbit’s Shop from one of my cosplay idols, Jin Joson(behindinfinity). Everything I needed in cosplay contact lens are in this shop: high-graded lens, vibrant colors and custom orders. So after having my eye checked and got the exact eye grades, I decided to buy my first graded cosplay contacts from them. 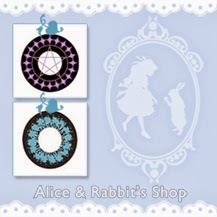 Alice and Rabbit’s Shop is an online shop that specializes in selling superior quality and vibrant contact lens for cosplay, fashion-wear and normal wear at affordable prices. They have been in operation for more than three years and gained trust from many cosplayers who need high-quality and accurate contact lens for their cosplays. They have in-stock lenses, both prescription and non-prescription, as well as special orders and custom orders. Their goal is to “provide contact lenses that are of excellent quality, guaranteed safe and priced reasonably - because nobody should have to pay an arm and a leg to enjoy their hobby better”. • Has a burst of brilliant color on a large clear area around the iris to give the illusion of large pupils. The slight pattern in the center and broken limbal ring gives it a natural look. This actually works best when your eyes are dark. • The colors of the lens becomes more vibrant when you look to the side or upwards. • Comes in PLANO (non-graded) and PRESCRIPTED (-0.00/ -0.50/ -0.75/ -1.00/ -1.25/ -1.50/ -1.75/ -2.00/ -2.25/ -2.50/ -2.75/ -3.00/ -3.25/ -3.50/ -3.75/ -4.00/ -4.25/ -4.50/ -4.75/ -5.00/ -5.50/ -6.00/ -6.50) and you can different eye grades per pair. I was supposed to order directly from their webstore, but since it is my first time to order from them, I emailed my questions first. I was very happy to see they responded immediately to my inquiries. And as the conversation progressed and I got all the information I need, the owner said I can do my orders through email and no need to fill up order forms from the main site. So I ordered the Crystal Max Lens Crystal Blue in Prescription with -3.25 for my right eye and -1.00 for my left eye. In terms of transaction, I didn’t have any problem with it at all. The owner was quick to reply and even helped me in selecting contact lenses. She was also very helpful in answering my inquiries and questions. For a first timer in purchasing and wearing contacts, my experience in transacting with Alice and Rabbit was smooth and hassle-free. They also ship right after I made my payment, so I didn’t have to wait long because the contacts arrived on time. The packaging is also good. Since contacts are very fragile with their glass bottles, Alice and Rabbit covers them with styrofoam plus scotch tapes and puts them in a tight envelope to avoid unnecessary moving while it’s being shipped. They arrived without any damage or scratches. It comes with a lens case too. • The color is indeed very vibrant and even I was surprised by it---though I love it. Despite being vibrant, it still looks natural in the eyes. 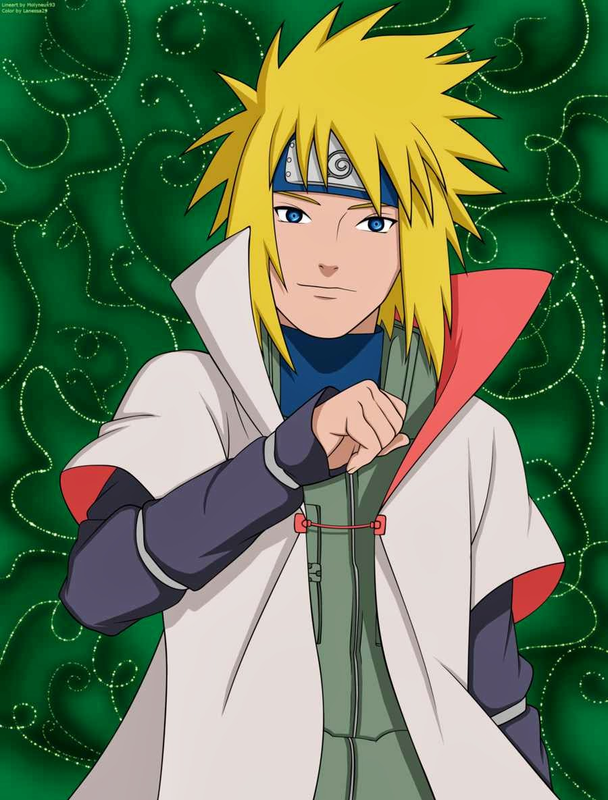 • The color truly captures the eyes of the character I am cosplaying, Minato Namikaze from Naruto. • It is also true that it has a comfortable extended wear as I started wearing the contacts at around 10:00 in the morning and took it off around 8:00 in the evening. Of course, sometimes it stings but with a little blink and some eye lubricant, my eyes feels better. I just had to take it off at 8:00 because my eyes were so tired already. • One thing I was worried in wearing contacts was that having different eye grades won’t work for me. I was wrong because once my eyes got used to the contacts, I had nice eye vision that is the same as wearing glasses. My problem with my cosplays before was when I took off my glasses, I had a hard time seeing. Now I don’t have to worry about that because wearing graded contacts from Alice and Rabbit will also give me a great vision while in cosplay. • The 14.8 mm diameter is just right for my eye compared to the 15mm. I have yet to try the 14.5mm, 14.2mm and 14.0mm. • I’m chinita, meaning I have small eyes. But with a little eye makeup + contacts, my eyes became a bit bigger and brighter. • Comes with its own lens case. • Whatever the lighting, the color of the lens are still vibrant. It can also be seen even from afar. • As I said above, sometimes it stings---though not as often like every hour. Can be solved with eye lubricant but sometimes I am lazy to put some---especially when I am wearing makeup. • Might be a bit expensive for others, but I can tell you that it’s worth it---especially when you really need contacts in high grades. • It would be good if they will also include contacts solution, even just the small bottle. 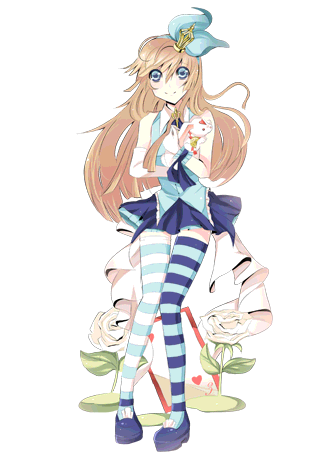 Since I have hard time looking for graded cosplay contacts in other online shops, most likely I’ll be ordering more from Alice and Rabbit’s Shop. For sure, they will be my go-to for my cosplay contacts with prescriptions. I can’t wait to try their other products.